Come dear ones and gather ‘round, and I’ll tell you the story — all about Him. I saw the crowds who followed Him, as He walked the streets — of Jerusalem. The Word became flesh, we beheld His face, yes, dear ones — God became man. His name is Jesus and I testify, that Jesus is — the great I Am. The time was so short, they arrested Him, and when they came — we only stood by. He prayed for them, stretched out His hands, His love to show — so willing to die. 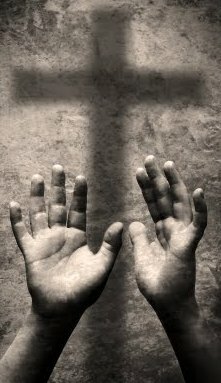 And I saw Him reach out His hand from the shadow of His cross. Now all that I am, I count it all as loss. He taught us that none of us are clean, the Scripture says — not even one. You see dear ones God so loved the world that He sacrificed — His only Son. Jesus died, He shed His blood, He’s not willing to lose — anyone. He rose from the dead, He calls to you, He offers you life — so why do you run? Won’t you see Him reach out His hand from the shadow of His cross. And all that you are, won’t you count it all as loss?